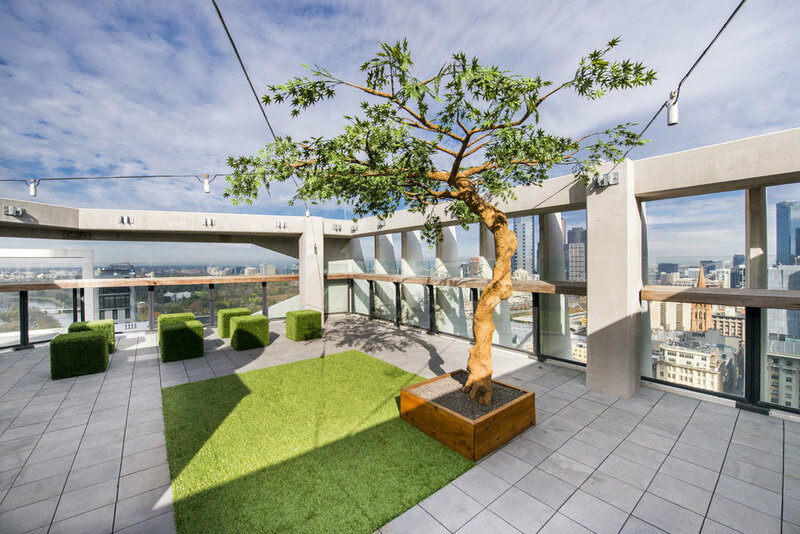 We were invited to create an urban oasis on the 22nd storey terrace of the Architects Institute offices in the heart of Melbourne. 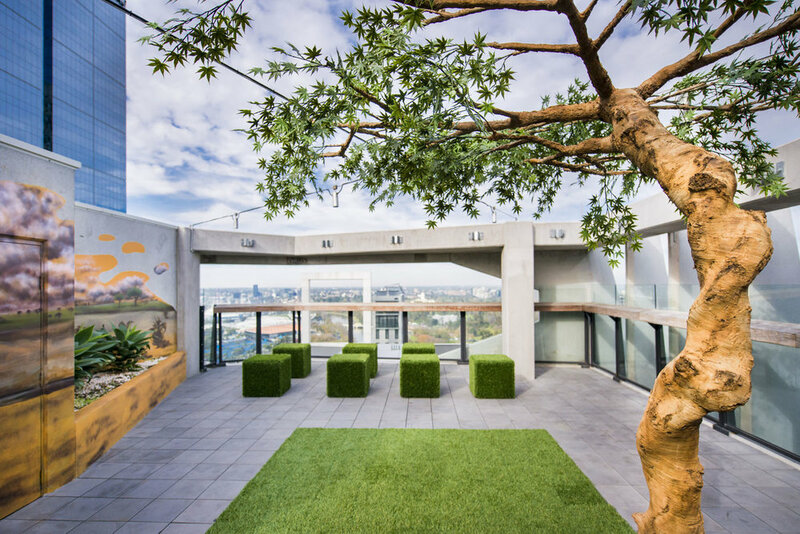 The space was grey - grey pavers, grey walls. 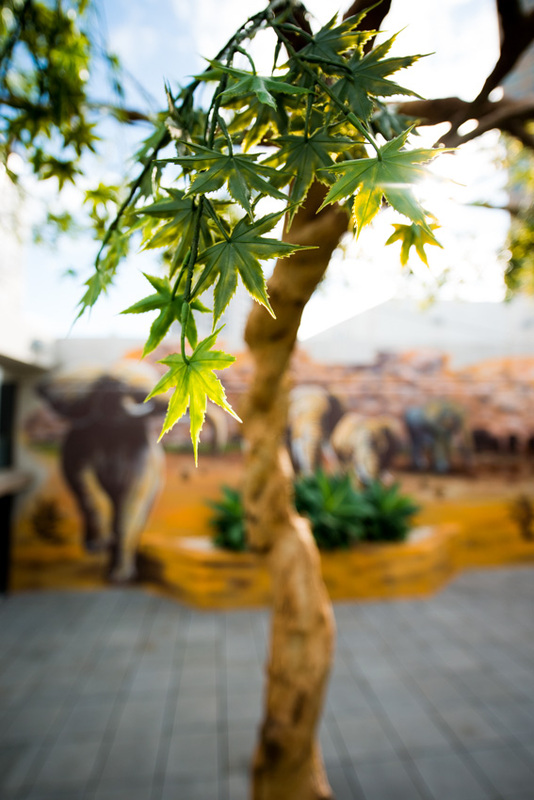 With client encouragement we created a tongue in cheek, African savanna complete with Acacia Tree and murals featuring African elephants and (at clients insistence), warthogs. The mural was created by Melbourne street artist Makatron. Level 22, Australian Institute of Architects, Melbourne.